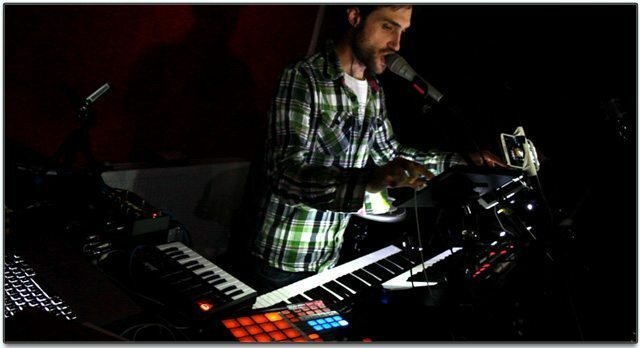 Today we’re bringing you an in-depth interview with none other than one of the modern living masters of live performance and looping, Beardyman. Over the past few months, he’s been building a brand new live performance setup. While many of the details remain top secret, the man himself shares how he’s evolved from a simple guitar loop setup to the new custom-designed Bearytron 5000 mkII – read on for the full story! 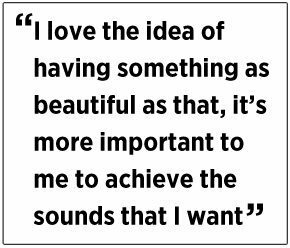 Few musicians dream up ideas that push into uncharted territory. 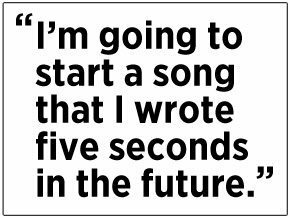 When they do, they aren’t necessarily making better music than songwriters writing catchy-but-been-done-before pop hits. 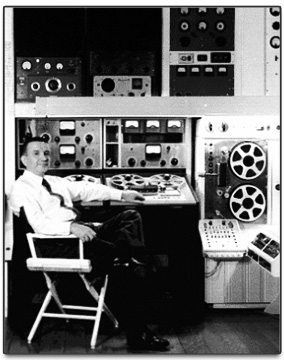 But true innovators that move music and technology forward are doing something with more profound consequences. 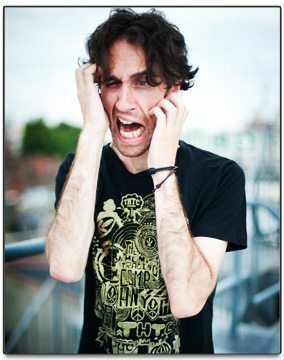 What beatboxer/live-production performer Beardyman (aka Darren Foreman) dreamt about doing couldn’t be done. Technology simply couldn’t keep up with his demands. To pull off his funny, improvisational sets the way he wanted, he spent six years and $30,000 building a complex live setup he calls the Beardytron 5000 mkII. Chatting with him over the phone while he was on vacation in Morocco, it’s quickly apparent that he’s something of a pioneer, inventor, and very smart dude. 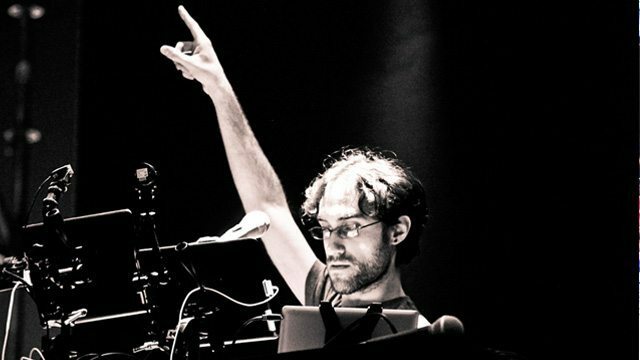 Scott’s idea to collaborate musically with machines is also Beardyman’s goal. Listen to his set in Pune, India (above) in October, and you’ll have an inkling of how his brain operates. Case in point: Midway in the set, before embarking on his next improvisational excursion, he announces, “I’m going to start a song that I wrote five seconds in the future.” His ideas manifest from seemingly nothing. He builds them up, breaks them down, dissolves them, and then transitions into something entirely new. While it suits his personality—which he describes as “quite strongly ADD”—to follow every random whim, it has taken years, and endless hours in those years, to get technology to cooperate with his needs. 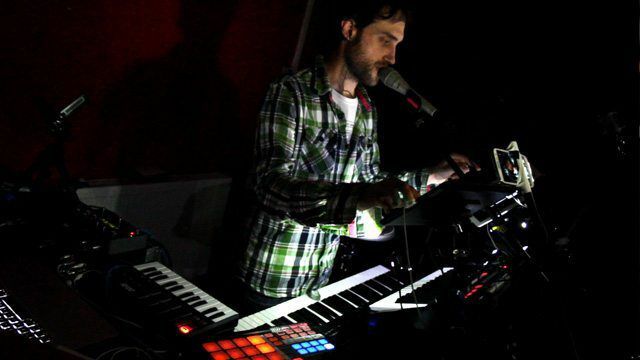 Beardyman started out performing in cafés with a friend playing and looping guitar while he looped his beatbox ideas, but the loopers didn’t play well together. “They’d always go out of time, and I’d go out of time with myself because I had one pedal going into another one, and it was all going everywhere,” he says. Then Beardyman started using [Circular Labs] Mobius freeware inside the Plogue Bidule modular patching environment, which wasn’t reliable enough, either. 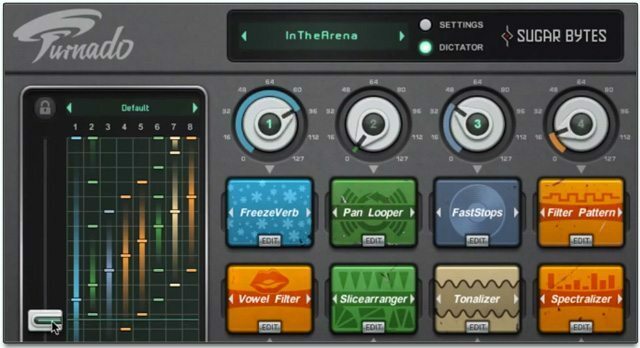 After a lot of frustration, he came to the conclusion that there simply wasn’t an existing looper that he could effectively use as part of a live-production system. The Beardytron in a clip from an upcoming in-studio video, shot just a few weeks ago. After struggling with various existing combinations of software and hardware, Beardytron started working with Sebastian Lexer, a computer programmer, musician, and lecturer on the Max/MSP platform at Goldsmiths, University of London. The two started building a setup for Beardyman within Max/MSP, but there were issues with CPU power limits. See how SugarBytes’ Turnado stacks up against other real-time effects units in this March 2012 article. 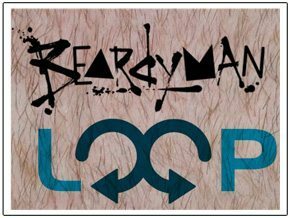 Beardman’s music doesn’t sound like Katy Perry – but he can approximate the production of many different genres, including styles ranging from dubstep to chopped and screwed. 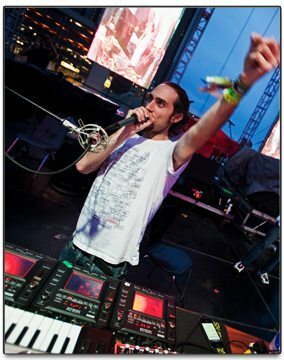 Within Turnado, Beardyman has created hundreds of presets that he’s created for various genres of music he taps into live, and using the “Dictator” mode in Turnado (visible in the above screenshot), he can use one fader to control up to eight different effects at once. “The amount of effects used in modern music is just staggering, and the amount of pre-programming it takes to get the kind of effects that you want is insane,” he says. Helping him drive it are three iPads, two of which control the Beardytron and one that uses apps for extra noises. He also has keyboards, Native Instruments Guitar Rig, and Rob Papen’s delay as part of the setup. Kylee Swenson is a guest contributor to DJ Techtools – read her previous article for us on how Keith MacMillen Instruments funded and built the QuNeo with the helps of thousands of fans who paid in advance. Header photo credit: Jim Hanner.